Offering an in-depth analysis of the impact of the economic crisis (2008–2012) on immigration movements and policies in the U.S. and Europe, the analysis in this book is guided by two key questions: What is the scope of change? ; and did the crisis motivate this change or did other factors do so? 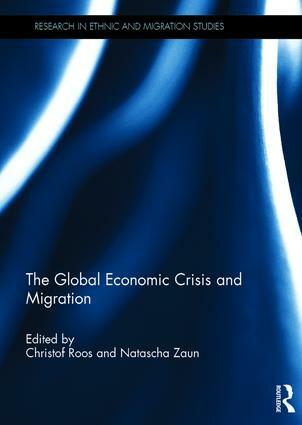 The contributions to the book find that the crisis had immediate effects on migration patterns – migrants left crisis-stricken countries, naturalised in non-crisis countries where they had previously settled, or stopped migrating to formerly attractive countries which had been negatively affected by the crisis. Whereas prior to the crisis the majority of migrants were highly-skilled, during the crisis there was a shift to vulnerable groups such as low-skilled workers and women. The book also finds that migration policies have indeed changed in times of crisis. However, these changes are neither exclusively restrictions nor liberalisations, but encompass changes in both directions. Despite the coincidence of many policy changes with the crisis, these changes are not primarily induced by the crisis. Instead, politicians rhetorically used the crisis to promote both liberal and restrictive policy changes which were already in the making before the crisis. This book was originally published as a special issue of the Journal of Ethnic and Migration Studies. Christof Roos is an Assistant Professor in European and Global Governance at University of Flensburg. His work focuses on EU integration in Justice and Home Affairs, EU migration and asylum policy, and freedom of movement. Natascha Zaun is an Assistant Professor in Migration Studies at the European Institute of the London School of Economics and Political Science. Her research focuses on EU asylum and immigration policy as well as global refugee and visas policy. Ethnic and Migration Studies will publish the results of first-class research on all forms of migration and its consequences, covering diverse topics such as ethnic conflict, discrimination, racism, nationalism, citizenship and policies of integration. This series will focus particularly on comparative research, assessing the consequences of migration in a variety of European countries, or comparing the impact of migration in one or more European countries and the countries of North America and the Asia-Pacific.